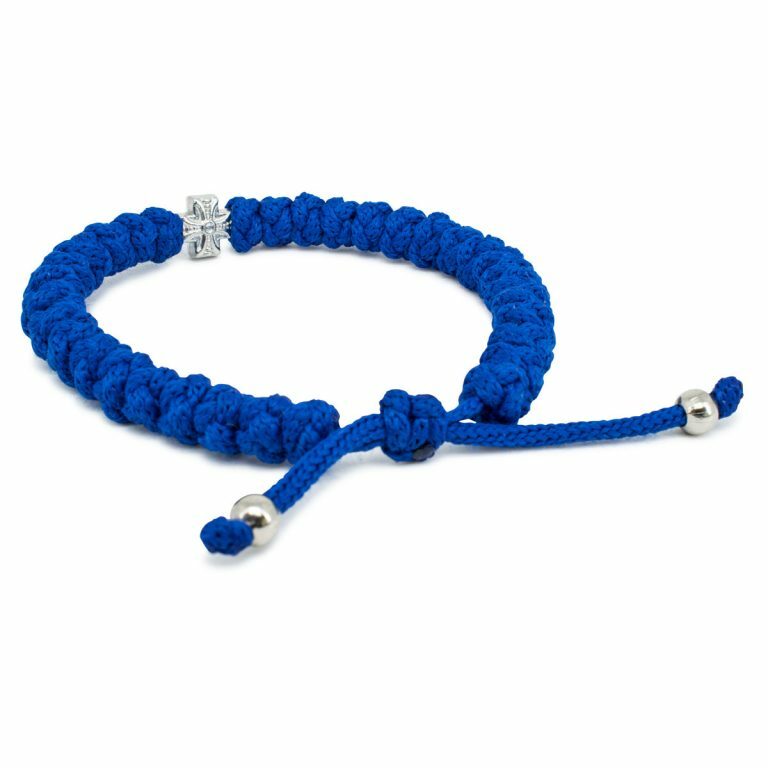 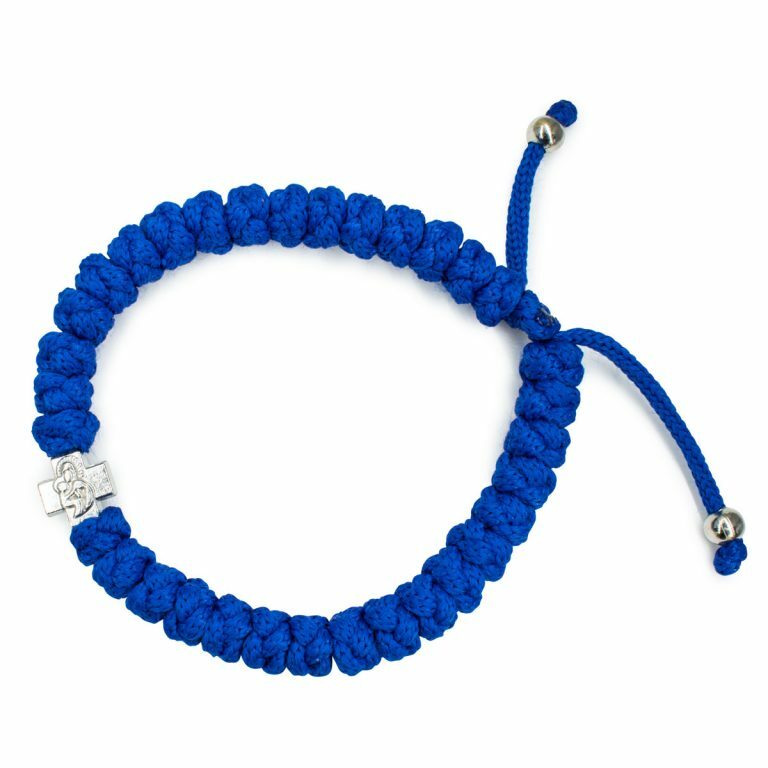 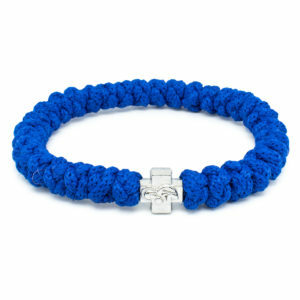 Beautiful adjustable blue prayer bracelet. 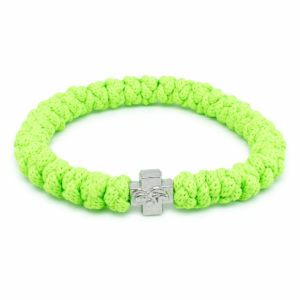 Adjustable in size, consisting of 33 knots and a doublesided cross bead. 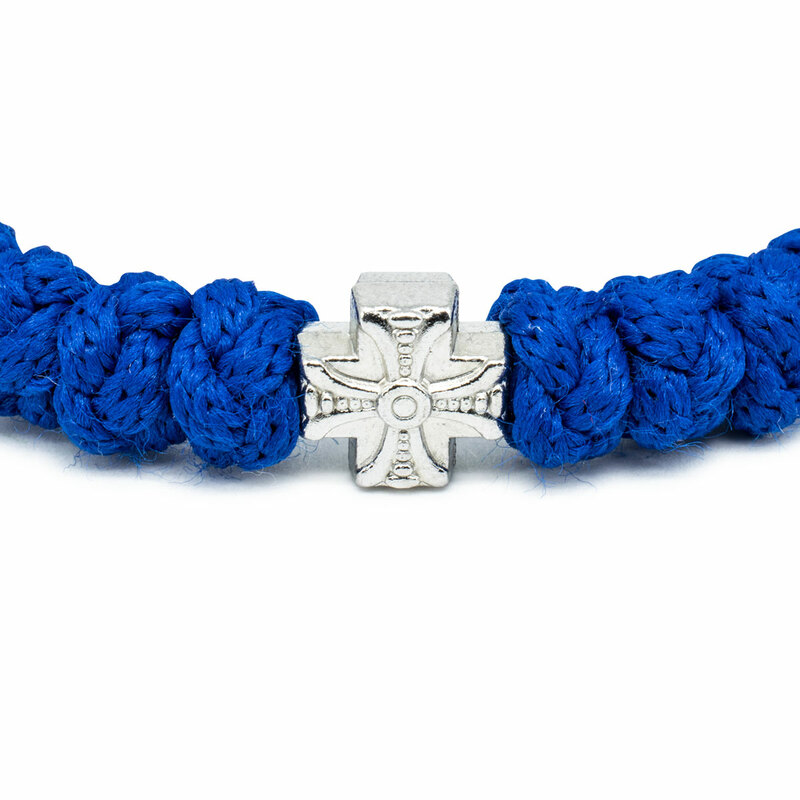 Handmade and blessed by the Orthodox Church.